Join our very own, Hilliary Giglio, a certified pediatric sleep consultant, for a talk about sleep! The conservatory space will be reserved for babies 12 months and younger and their parents. In the Conservatory, PHECA member and certified pediatric sleep consultant, Hilliary Giglio, will cover some basics about the importance of sleep and sleep needs of children. She will also share her core sleep tips. 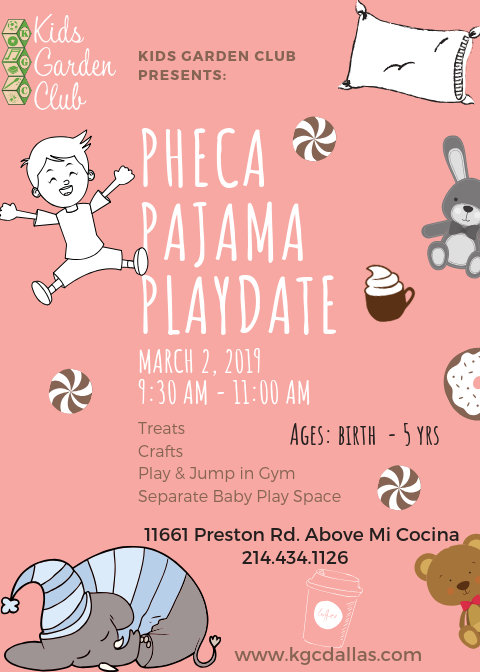 This is a session separate from the regular Pajama Playdate and is only for babies 12 months and younger and their parents. This particular session will be limited to 10 babies plus their parents because of limited space in this room. You must complete this separate registration for this portion of the event. Remember space is limited to 10, so Register early as it is first come, first served!